Today we give special recognition to our paraprofessional educators. Thank you for providing assistance to our teachers in delivering support services to our students. Your invaluable work allows our school to provide quality education. We appreciate your energy, dedication and commitment to our students. 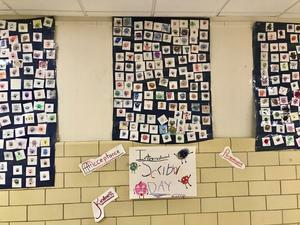 Smalley School celebrated National Scribble Day on March 27th. We read the book, I’m Not Just a Scribble, by Diane Alber. Students and teachers participated in meaningful discussions about kindness and acceptance. The students were encouraged to express themselves through creating their own, unique scribble character. Smalley Scribble Characters are on display in the school to inspire kindness in each of us. 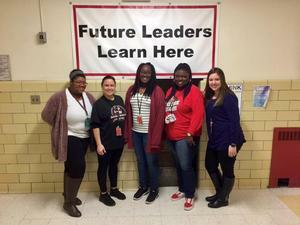 A big thank you to Ms. DePaola and the Rutgers University volunteers for their dedication and volunteer service in providing adult ESL classes at Smalley School. Congrats to all of the 2nd Trimester Honor Roll and Citizenship Honor recipients at Smalley School. We are proud of you! Genius Day in Ms. Ianniello's Class! A job well done during Ms. Ianiello's first annual Genius Day 2019 in Smalley School! Keep up the great work! Learn about the warning signs of mental health conditions and what steps to take if you or a loved one are showing symptoms of a mental health condition. Tender Smiles 4 Kids will be visiting Smalley School on Wednesday, April 24, 2019. Please review the attached information regarding this mobile dental program.